Today we are using the Picasa Boost filter to achieve this super effect. Wow! What an awesome image, Athena! Love that effect added to an already gorgeous feline! Those green eyes!!! Beautiful! That eye is just mesmerizing! 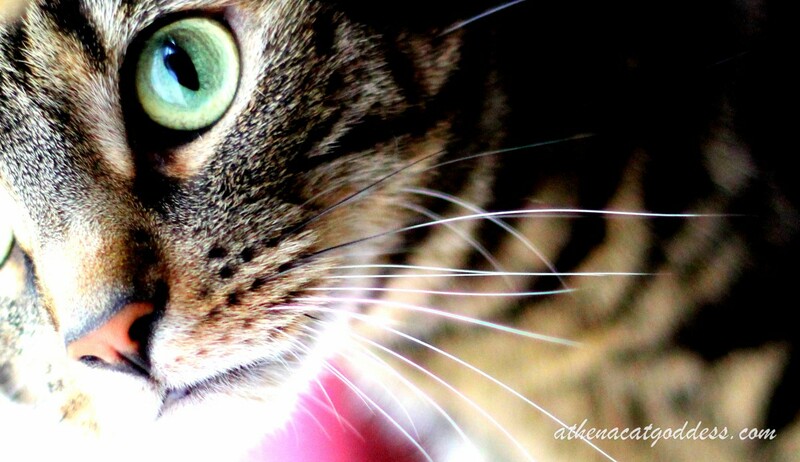 Stunning, this really shows off your beautiful eye color and whiskers. This is absolutely gorgeous, Athena! Your eyes are so stunning. I love how her mouth is slightly open. I guess this constitutes a 'kitty pout'! Wow don't you look stunning! Whoa! Those colors are vivid. You're popping right off the screen. Very pretty and bright! Love how it makes your eye color pop! What a great effect! You look even more magnificent than usual, Athena. Hugs to you and Mum.